More casting news from Girl with a Dragon Tattoo. Rooney Mara has been chosen to play Lisbeth Salander in the American remake of Girl with a Dragon Tattoo. She will be joining Daniel Craig and Robin Wright Penn, who were cast earlier. I am cautiously optimistic that this will be good in light of the actors chosen to play the key roles. Not that they needed to remake an already amazing film, but the original has subtitles, and you know how it makes our little heads hurt to try to read subtitles and follow a movie at the same time. Read more about Rooney over at Jezebel. Categories: books, Celebrities, Entertainment & Pop Culture, movies | Tags: adaptation, book, Daniel Craig, Girl with a Dragon Tattoo, Lisbeth Salander, movie, Robin Wright Penn, Rooney Mara | Permalink. Why I can no longer watch John Hughes films. 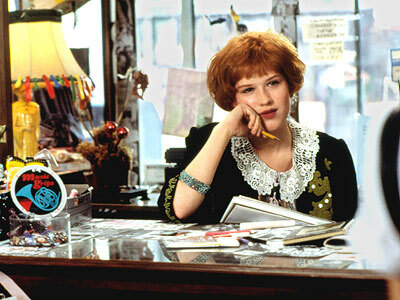 Do you ever find yourself watching a movie, oh say, 1986’s Pretty in Pink, and you start calculating how old the film is, how old that makes Molly Ringwald, how old that makes Duckie and how Andie’s dad was that creepy old polygamist leader on Big Love. Then you start remembering back when you thought 9th grade seemed so far away…how high school graduation would never happen…that turning 21 was so far off in the distance…and you now realize that you are older than the “adult” in Pretty Pink(played by Annie Potts)?!? Categories: Entertainment & Pop Culture, movies | Tags: Annie Potts, Harry Dean Stanton, John Hughes, Jon Cryer, movies, Pretty in Pink | Permalink. 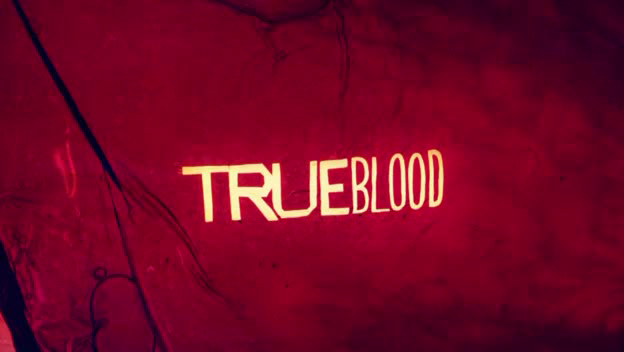 Well, last night’s True Blood was something wasn’t it? I wonder how many gallons of fake blood Alan Ball goes thru in an episode? I bet he ups the order with each new show. So, we bid goodbye to a few characters and learned something new about Miss Stackhouse. There was also an odd Massengill-esque sequence somewhere in the middle of the show that you really have to watch for yourself. I won’t say anymore, since some of you may still have it sitting on your TIVOs, but you can read the entire recap over at Salon here. Maybe I will say one more thing, Pam is my new favorite vampire. Watch the end of TB and tell me I’m wrong. Categories: Celebrities, Entertainment & Pop Culture, Television | Tags: Alan Ball, HBO, recap, Sookie Stackhouse, True Blood | Permalink.